Mr. Bilbo Baggins, born 22 September 1290, Shire Reckoning. 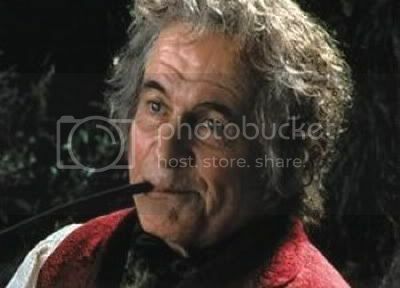 ~ Ian Holm in Fellowship of the Ring. 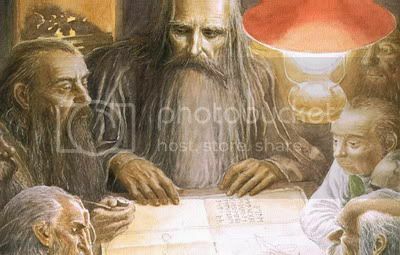 ~ Detail from illustration for The Hobbit, by Alan Lee. 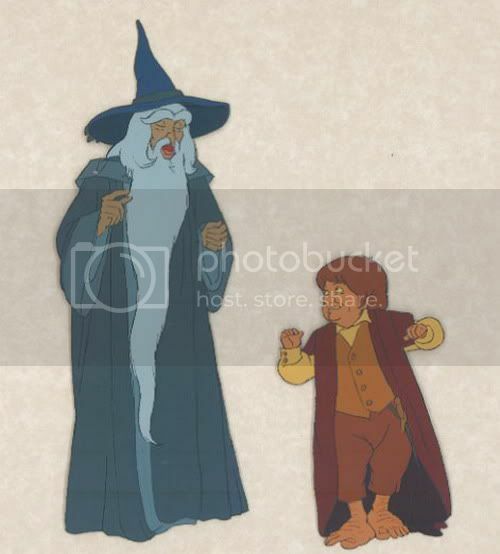 ~ Gandalf and Bilbo, by Bakshi. 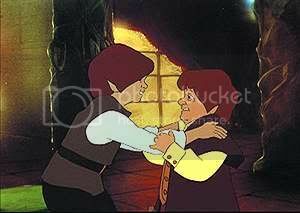 ~ Frodo and Bilbo, by Bakshi. You will have to wait till tonight when I come home from work to see my birthday mathom from Frodo. Gosh! Just look how beautiful he is in his Birthday suit. Oh Lordy. OH. MY. GOOD. LORDY. Has eyes only for the nephew. I want to be on Tol Eressea. Right now. Just me, him and the bathrobe.